Ponytail with bangs: Is there a better hair combination? We think not! We’re all guilty of it: pressing the snooze button one too many times and now have no time to style our hair. Luckily, though, ponytails were invented for such scenarios! But when the humble ponytail has become your go-to look, you may start to feel the need for a refresh. How? By rocking your ponytail with bangs! Now, you may be wondering how best to work this stylish combo, but rest assured that no matter your hair length or preferred bangs style, we have you covered… With a little help from our celebrity pals, we’ve rounded up the hottest looks to inspire your next ‘do, so you can step out in style this season. Actress Rose Byrne went for the classic and ever popular Briggite Bardot-inspired bangs to complete her medium-length updo. Bardot bangs are the easiest and most stylish way to grow out your bangs and they have the added bonus of being universally flattering. All bow down to the Queen of Ponytails, Ariana Grande! Her lengthy tresses are perpetually pulled up into a high pony, making it her signature ‘do. But every so often, Ariana surprises us with a slight style switch – from her micro bangs to bold hues – keeping us on our toes. Yet while we love to see how she mixes things up, we can’t deny that her ponytail + bangs combo is one of our faves! By crimping sections of the length of her ponytail, Ariana gives the look a ’90s nod and keeps her bangs blunt for a fierce finish – kudos! 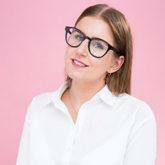 Editor’s tip: Get Arianna’s frizz-free finish with the VO5 Frizz Free Cream. Not only will this smooth out any frizz for glossy locks, but it also protects against heated-styling tools, too! Sashay down the red carpet with Julianne Hough’s low ponytail with bangs hairstyle. Showing off her blonde highlighted hair in a sleek side-parted ponytail at the nape of her neck, Julieanne’s side-sweeping bangs are finished with a chic black ribbon wrapped around the base of her ponytail. Jennifer Garner channels the perfect girl next door look with this layered bangs and high ponytail style. Styling her bangs with a soft off-centre parting helps to draw focus to her eyes, with the longer lengths hugging her cheekbones. Adding a soft wave to her medium-high ponytail ensures the look is soft and romantic – swoon! Curly hair and bangs may not be the easiest of combinations to manage, but fear not, as Glee star Lea Michele has the perfect look for you. Securing her lengthy curls in a carefree medium height ponytail allows all the attention to go to her curved bangs. The simple yet effective hairstyle is a winner in our eyes! Editor’s tip: Enhance your natural waves with the TONI&GUY Sea Salt Texturising Spray. This nifty product will enhance each strand for wonderfully textured waves, every day! 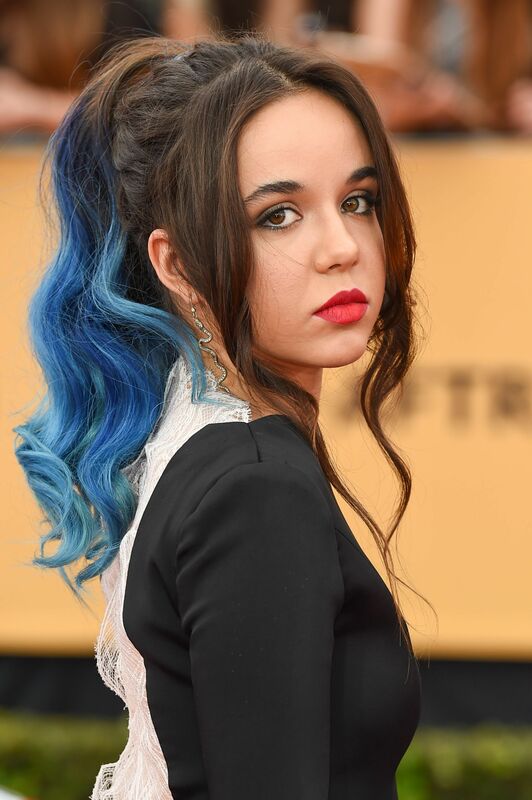 Boyhood actress Lorelei Linklater teamed her grown out bangs with an on-trend ombre ponytail. Parting her long bangs down the centre Lorelei added loose waves through the lengths of her brown hair, while the rest of her colourful tresses are piled high into a ponytail! Former One Tree Hill actress Sophia Bush styled her golden brown balayage hair with side bangs and a voluminous side ponytail for a red carpet event and we think not only does the colour compliment her skin tone, but the soft bangs add a softness to her angular features. Now that is seriously smart styling! Whether you’re growing out your fringe or want to dip your toes into the curtain fringe trend, follow in Ciara‘s footsteps with this long centre-parted fringe and high ponytail combination. 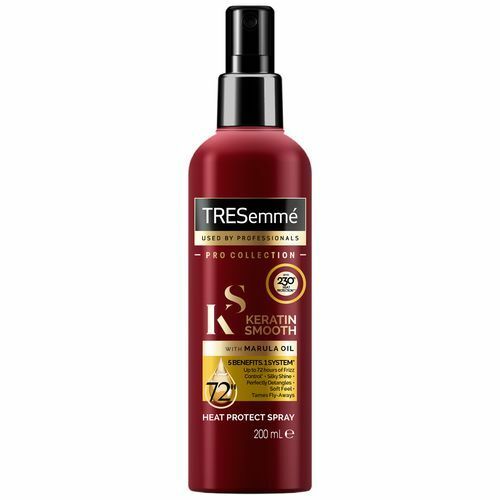 Editorial tip: For gorgeously smooth and straight hair, prep hair with a generous spritz of TRESemmé Keratin Smooth Heat Protection Shine Spray before blow-drying and straightening. Want a ponytail and fringe look that still shows off the length of your hair? 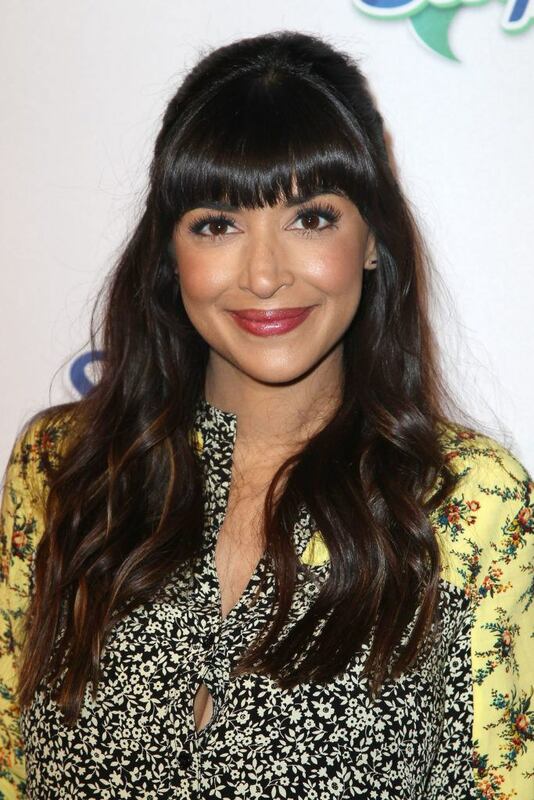 Why not wear your hair in a half-up, half-down ponytail hairstyle like New Girl star Hannah Simone. Psst: We especially love this look for a formal occasion like a wedding or prom. Beach like waves are a go-to look for most and if like Reese Witherspoon you have a side fringe, why not team your bangs with a textured wavy low ponytail updo?